Do you know if the same limited stores are getting more of the dress or if the number of stores has been expanded? Re: picture from a Québec store: I'm shocked. Couldn't she find a Fleur de lys to waive in the wind, it had to be a Union Jack!? Just kidding. But I find it strange, knowing how their language police clamp down on every bit of English word in public places. Re: Here to there dress here again. Replenishing popular items is a good way to stick it to the evilBayers. There is one woman selling five of these dresses on eBay, for $334.25. Just went to a local store here in Edmonton. They never heard that the dress might be coming back, both locations that had it are completely sold out- unbelievable! I returned my here to there :) shorts that added to a whole bunch of them not selling out in the store, though I spent it immediately on WTBW bra in black camo. I returned my plain black bra same size ( a while back) as it felt too tight on my lower neck/ upper back muscles and the color black wasn't too deep. I have to admit that in thinner fabric like camo, I have no tightness problem and the colors are subtle but nice-doesn't look faded. Will look great with my camo pacesetter. Nice subtle color, silky feel, and thin for summer. Picked these up yesterday, they are so soft! anyone seen these in stores? For reference I'm 5'4", muscular 135lbs. I'm usually an 8 in tops (34DD) and a 6-8 on bottom. I went with the size 10! The 8 was very form fitting, but not tight, while the 10 had a little more ease to it. but mostly I wanted the extra inch in length. It hits me at the top of my knee (not mid thigh), which is what I prefer. I tried on the black, loved it....but then I started thinking about the possibilities of the grey so I grabbed that one on the way to check out. I just tried it on and personally I think it's more "summery", it's going to look great paired with white, and it looks fab with silver! Not sure if I'm going to keep the black one. I thought the fabric was really nice. Thick, soft and just enough stretch. I do think the inside of the black one looks more finished, but really, for $128 I think both are fine. $128 is little more than another pair of black yoga pants I don't need! Thanks so much LLA for the Here to There dress update!. I missed out last week but got one today at the Palo Alto store. Its super flattering. They had quite a few of 6s left, a couple of 4s, one 10 and were running out of 8s - in case anyone is looking. Re: the Union Jack in the photo. London is getting its first official Lulu store on the 28th March (we've only had showrooms to this point) so perhaps they're flying the flag in our honour? Yuck, what a greedy seller. There's a notorious US seller who shares the same name as a popular university that has a ton listed for $300, plus shipping. Some poor soul bought one off of her when she had them marked up for well over $300. So lame. I have a pair of NWT fatigue WAFS crops in a size 4. Email me if you want them- cost + 8.25% tax + $5.00 USPS Priority shipping w/tracking. Any fit reviews on these WAFS WUP's? No one in the Seattle area got the here to there dress :( if anyone has come across them in a size 4 gray or black, I'll buy them from you!!!!!! Your comment regarding the "fleur de lys" was insensitive and borderline offensive. I'm surprised that a political (and somewhat derogatory) comment was published on this blog. Union Sq NYC and Brooklyn have many dresses as of yesterday. I would be ever so grateful with getting the dress in silver gray size 8. Lulu also cancelled my order and no stores in my area have this dress. If an angel could could help, I would return the favour many times over?!?!?! I have access to 4 stores and would "shop" for you for whatever is on your wish list. Email: lululemonpartner@gmail.com. Many thanks from Canada! @anon 3:27 am - I am from the US so not super tuned into Quebec/Canada political tensions. Is it that bad? Should I take it down? 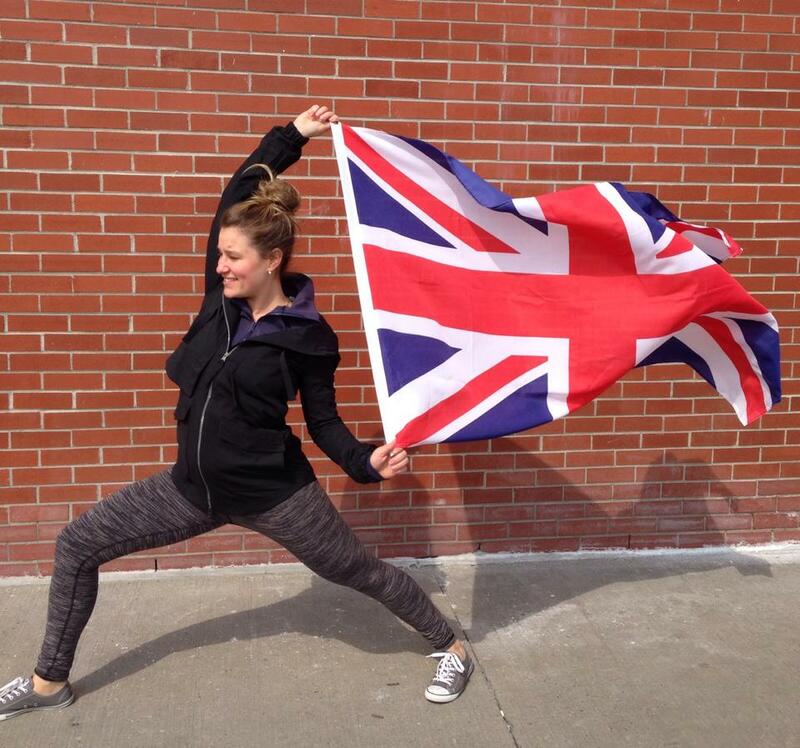 @ anon 1:03 pm - lots of lululemon stores are flying Great Britain flags to draw attention the imminent opening of the London store. While the 1:03 comment is not outright offensive, it is definitely taking a dig at les quebecois/francophones living in the province of Quebec. Essentially, there are some francophones living in the province of Quebec who would like to separate from the rest of Canada. Anglophones living in Quebec, as well as English speaking Canadians living in the rest of Canada generally feel a certain of animosity towards separatist francophones living in Quebec. Comments like "I'm surprised that they could not find a fleur de lys to fly" is a "borderline" comment at best. It is meant to insult those who show pride in their French heritage. All this to say, that as an anglophone living in Quebec, I found the comment somewhat in poor taste and needlessly political for this blog. A francophone (separatist or not) living in Quebec would 100% find the comment offensive. So happy I finally got my dress today! i love the softness of the last rounds of WUP/and crops in luon - but it's a bummer that they do not have as much compression. i think while it's not on par with sheerness, it is a form of quality issue, the compression is part of the appeal and i feel what makes the leggings worth the price and also helps them last so long. i have this version from a couple years ago and they are among my favorites! happy they are back so more addicts can have at least a version of them. LLA do not worry about the Union Jack and the Quebec store label. I'm in Ontario and when I saw the image and label, I too thought of the juxtaposition (between image and Quebec law), but it does not apply here. Some people are overreacting. has anyone in seattle seen the wars pants in store yet? to Anon: 3:54 march 27th- Please don't call me a "poor soul" for buying the Here to There Dress for $300+ from Ebay. I have 3 kids, full time job and don't have time nor the energy to stay up all night for the high demand items on upload. I have the means to purchase on Ebay double/triple the retail price. I am 4+hours away from closest lulu shop. I don't appreciate being called "poor soul" by you! no freakin doubt they are over reacting..... get a life and grow up and grow a pair!!!!! Ha ha ha~~~~ dumb bee oches!!!! seriously!!!!! I had someone grab me the WAFS in black/cashew and they were the denim material like the milky way crops. Is this the material everyone has seen them in? I saw a comment about how they fit like the parallel stripe pants but they aren't the same material at all and I find in the denim material I am able to size up to a 6 where as the Wunder under luon material I am better with a 4. Has everyone who has bought the black/cashew WAFS pants purchased them in the denim material? Thanks!